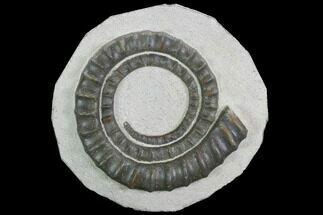 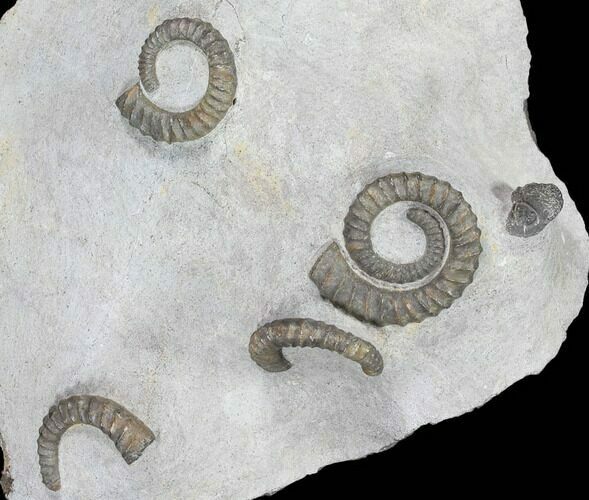 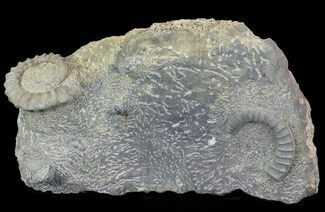 This is a 12.3" wide specimen that contains two complete and two partial, Early Devonian ammonites (Anetoceras), quarried in the Anti-Atlas Region of Morocco. 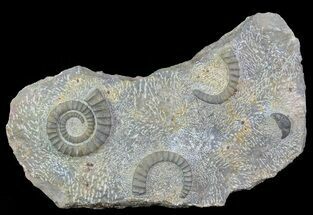 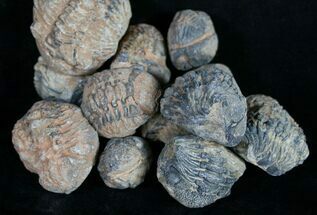 The ammonites have been painstakingly prepared from the hard limestone matrix that they were found. 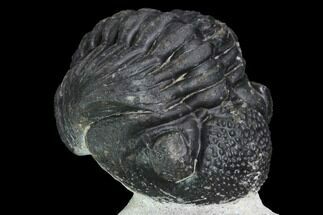 There is also the head of a Phacops trilobite that can be found exposed, adjacent to the largest ammonite. 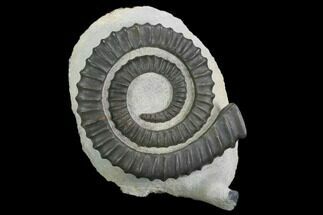 The largest ammonite is 2.6" wide.